We want you (and your zines)! To mark the pub­lic­a­tion of Fan­zines, Teal Triggs, Lon­don Col­lege of Com­mu­nic­a­tion (LCC) and Thames & Hud­son are cur­at­ing a spe­cial pop-up read­ing room in The Well Gal­lery space at the LCC. 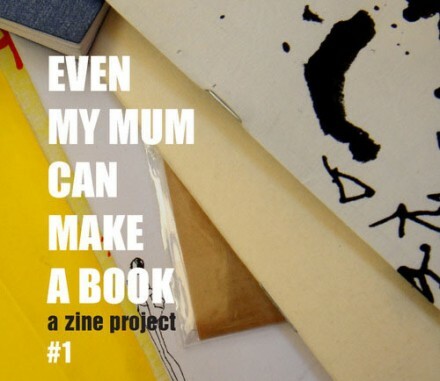 This tem­por­ary space will show­case rare pub­lic­a­tions from the LCC Zine Archive and the author’s col­lec­tion, but we want zine fans and zine makers to get involved too! We are invit­ing sub­mis­sions for the Read­ing Room as a rep­res­ent­a­tion of cur­rent pub­lic­a­tions and future col­lect­ibles. This includes inde­pend­ent pub­lic­a­tions in all formats: zines, news­pa­pers, magazines, hand­made or glossy – we want them all! The pop-up room may be tem­por­ary, but selec­ted sub­mis­sions will then go on to live forever as part of the LCC Zine Archive. The event is sched­uled to take place on Monday 20 Septem­ber 2010.
and email a short bio and a pic­ture of yourselves, your pub­lic­a­tion and/​or your logo plus any con­tact details (web­site, face­book etc) which we can then include on any list­ings that we write up: a.​mak@​thameshudson.​co.​uk (emails not to exceed 3MB). Please note, we will not be able to return any pub­lic­a­tions that we exhib­it. Sub­mis­sion does not guar­an­tee inclu­sion in the Read­ing Room. 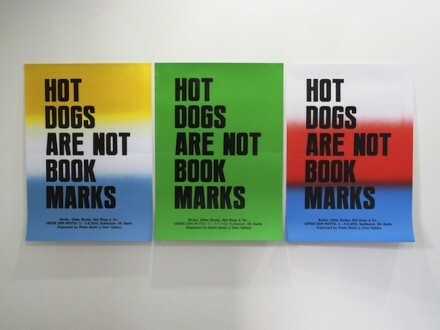 The second edi­tion of the Art Book Fair Unter dem Motto, present­ing 70+ pub­lish­ers from all over the world. For the second time MISS READ has invited inter­na­tion­al pub­lish­ers and artists to show their artist books at KW Insti­tute for Con­tem­por­ary Art in Ber­lin. As a genre of its own, the artist book reflects con­tem­por­ary ways of artist­ic pro­duc­tion and pub­lish­ing to a great extent and also addresses issues of present­a­tion and cir­cu­la­tion as well as new strategies of dis­tri­bu­tion. Present­ing a selec­tion of more than 40 of the most act­ive con­trib­ut­ors in this field, the fest­iv­al provides the rare oppor­tun­ity to encounter and explore the con­tem­por­ary scene of inde­pend­ent pub­lish­ing. More here! the aim of the pro­ject is to bring togeth­er inde­pend­ent pub­lic­a­tions and to encour­age people to dis­trib­ute their ideas, thoughts via prin­ted or hand­made mater­i­als. it is about to share obses­sions, pas­sions and things in your mind on paper that can be shuffled and touched. it is an open call for every­one to enhance these form of expres­sion! all these pub­lic­a­tions are going to be col­lec­ted in form of an archive that is con­tinu­ously exten­ded and meant to be trav­el­ing through dif­fer­ent ven­ues in tur­key and abroad. first exhib­i­tion will take place in 15th septem­ber 2010 in man­zara per­spect­ives in istan­bul.